When many people become Christians, they feel a sense of euphoria, a hope that their problems will now be solved because God is with them and they know it. That was certainly the way I felt when I started to take my Christian faith seriously. I knew that with perseverance and prayer (and perseverance in prayer), I could find the answers to all my questions and the solutions to all my problems. I just had to pray right and do right and everything would fall into place. If it didn’t, God was no doubt trying to teach me something. And if my problems persisted, I’d still have the next world to look forward to. But like a lot of people, I eventually learned that life, even (especially?) the Christian life doesn’t operate by tidy and easy-to-follow rules. Life is more complicated than that, and God is even bigger and more complex than life is! I had turned my idea of God into an idol. And I’m not the first—or the last—Christian to do that. It’s a common phenomenon. Mythologies are overarching stories that tell us why we are here, where we are going, and what we are supposed to do. The problem arises when we fully identify with these mythologies, viewing them as a complete and accurate description of who are are and how the world works—in other words, when it becomes a mask that covers the truth of our anxiety and unknowing. Instead of facing up to the reality that we are fragile human beings who are faced with mystery and suffering, these narratives help us prop up the fantasy that we are in control of our destinies and are masters of our actions. Many people find ways to deny the flaws in their mythologies—or they come to rebel against those mythologies, a tactic that doesn’t reduce the influence of those mythologies because, as Rollins notes, “that which we oppose is that which we define ourselves against.” Rollins says that a better approach is to embrace the questions and the challenges, to realize that there’s much we cannot understand. Because Rollins is doing so much reimagining, his arguments do not always make obvious and intuitive sense. He helps readers along by offering parables, pop culture references, and stories to illustrate his point. And the pop culture references cover lots of ground. You’ve got Miami Vice, Austin Powers, and The Bridges of Madison County all in the space of a few pages. He finds lessons in the popular fascination with zombies—a zombie “expresses pure human drive without the social and psychological constraints that keep it in check.” And he draws from Karl Marx, John Stuart Mill, and Dietrich Bonhoeffer. One of the things I appreciated about this book is that it didn’t keep me nodding in agreement (though I agreed with a lot of it), nor did it put me into an argumentative mode (though I question bits and pieces of his argument). Instead, it made me think about old ideas in new ways. I’ve only touched on a handful of those ideas here. 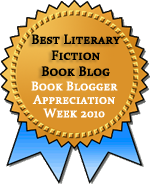 This entry was posted in Nonfiction, Religion and tagged Review Copy. Bookmark the permalink. 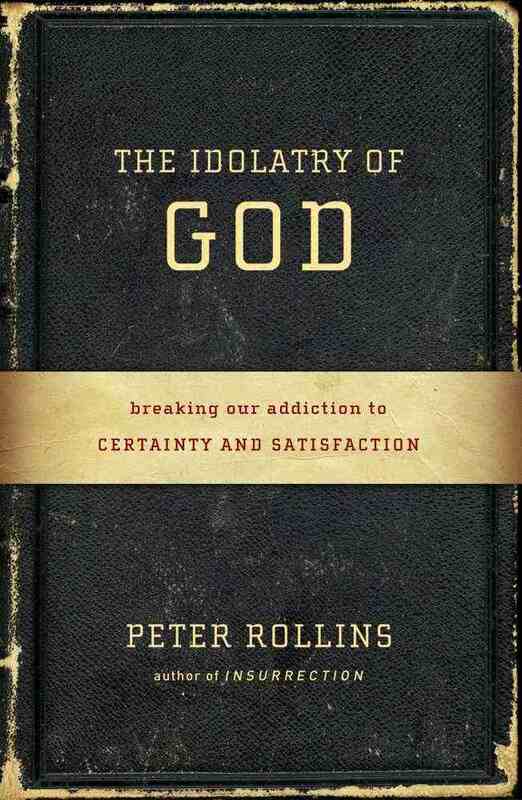 Peter Rollins is a fine writer and theologian. He’s a part of a group of people, like myself, who are working to refine Christianity and make it meaningful in a postmodern world. It’s basically for people who cannot find meaning in church theology. I was really impressed with his thinking. A couple of my seminary professors were great admirers of his work, and I can see why. I think this kind of reframing can be really helpful. This sounds quite interesting. As we’ve talked about, I’ve found myself drawn more and more to progressive Christianity, but I’ve yet to reach a point where I expect God to help solve my life problems. Have you read any Barbara Brown Taylor? I just finished her A Preaching Life and like all of her writing I really connected with it. I suppose, at this stage at least, I’m more drawn to the holy of the everyday and Jesus’ social justice ideals than anything else. I should try conscious praying more I suppose! I think the whole idea that God will solve your problems or make everything OK is more common on the Evangelical side of Christianity–and it’s usually implied, rarely said outright. These days I’m more interested in God in the everyday and letting God give me perspective about my problems. I haven’t read any Barbara Brown Taylor, but she’s on my list. Lots of people I know love her. If you do decide you want to try more conscious prayer, you should look at Richard Foster’s book on Prayer (Finding the Heart’s True Home is the subtitle, I think.) He talks about lots of different ways to pray, and I found it really helpful. Oh thnx for the rec! I’ve put a holds request on it from my library (they have quite a few books by him inc one on meditative prayer that sounds interesting). I suspect that I’m about as far away from Evangelical Christianity as one can be and still be interested in Jesus, so that explains that. Based on what you’re interested in I think you’ll get along with Barbara Brown Taylor! Here lately, I’ve run across excellent looking e-galleys on Netgalley and Edelweiss. I found this book on Edelweiss months ago but held off on reading it until close to its release date. Peter Rollins had actually been on my reading list since a some of my seminary professors recommended him a few years ago. The Nouwen was for my church book group; we maintain a long-ish TBR list that everyone contributes to.